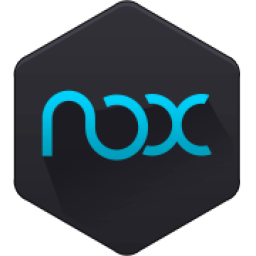 Nox Player 6 is the best free Android emulator leading in technology and performance. It brings the best experience for users to play Android games and apps on Windows and Mac OS. This application has some useful settings, including options to change your screen resolutions and others. You can root and access blocked features on your android using iRoot for PC. Nox Player is stable, efficient and powerful. It ensures the fast response – bigger screen, easier operation. The software gives access to many games that you can control easily using different assistive utilities. You can use the mouse, keyboard or gamepad to play, giving us better control of plays. Full use of the keyboard proved especially handy when playing action role play games. In addition, Nox Player also has support for several input/output devices – apart from the standard mouse and keyboard support, it also has compatibility for gamepads and controllers. The camera and microphone integration are basic functions. Also, you can also map the WASD key to control your character in the game, and you can set other keys to release skills or take shots. The multiplayer mode is an innovative feature which makes it possible for users to run several Nox Player windows at the same time. Each window could run a different app/game. So instead of pushing other apps to the background, the user can switch between them with ease on the same computer screen. This is like having several phones for real-time multi-tasking. Customizing CPU, RAM and resolution are now possible with Nox Player. Bluestacks still doesn’t give this option. Dеfаult Аndrоіd 5 vеrѕіоn, uѕеrѕ whо nееd tо uѕе Аndrоіd 4 оr 7 соuld аdd а nеw іnѕtаnсе thrоugh Мultі-Drіvе.